A couple of days after the ESNG show, I was catching a plane to Java, to do a 4 week input to a World Bank aid project on irrigation. 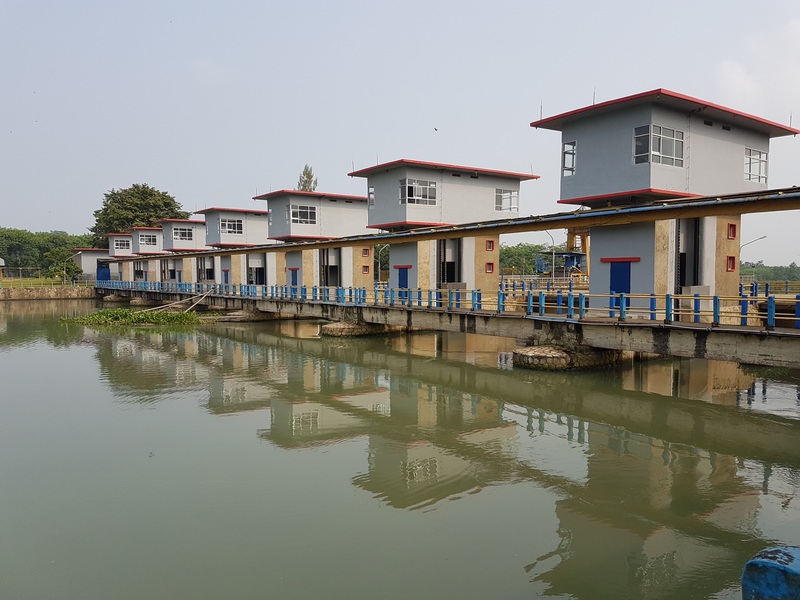 Once again, retirement is postponed, but I fancied another project in Indonesia. Not many trains about here, just plenty of work, so here are a few of my ‘holiday’ snaps till I think of something railway orientated to write about…. 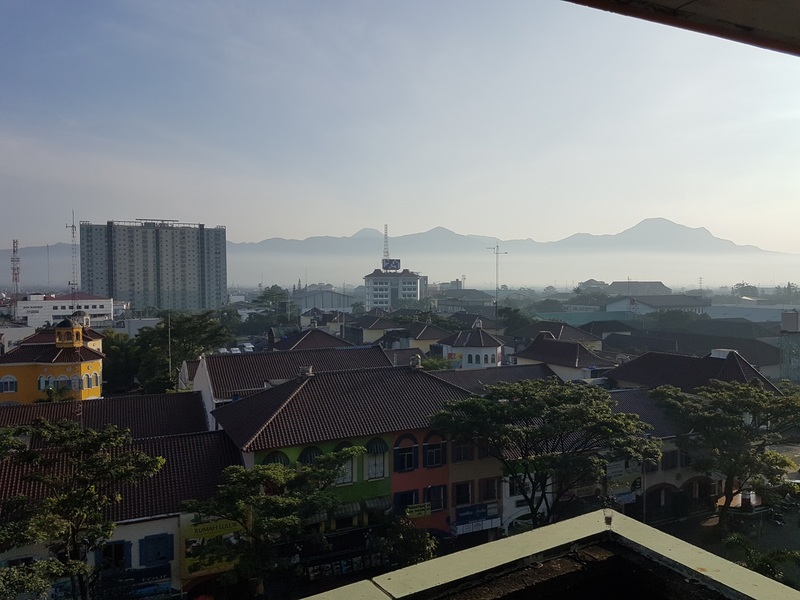 Early morning from my hotel room in Bandung, in the centre of West Java. It’s unusually clear and you can see the mountains (but not quite the volcano behind.) Usually the view is veiled by pollution in the morning and rain in the afternoon. But this is where I am. 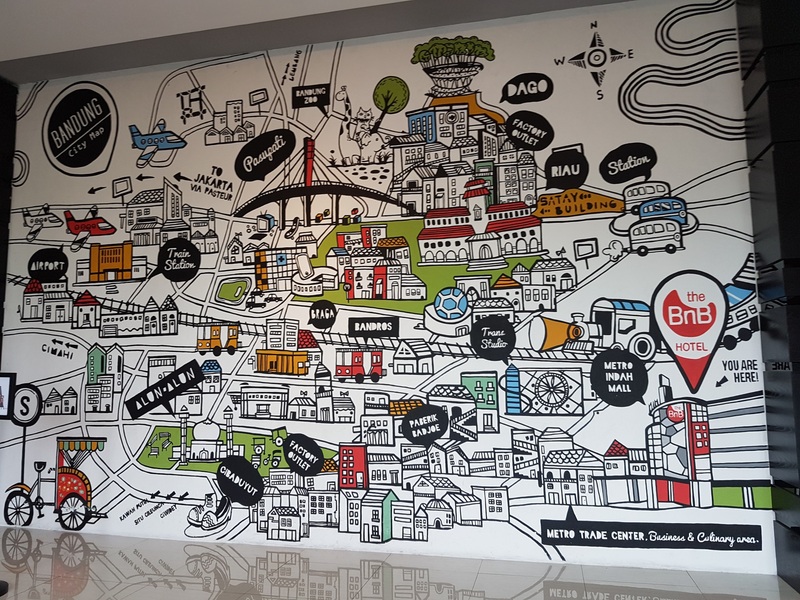 Some rather good map-making in the hotel lobby. 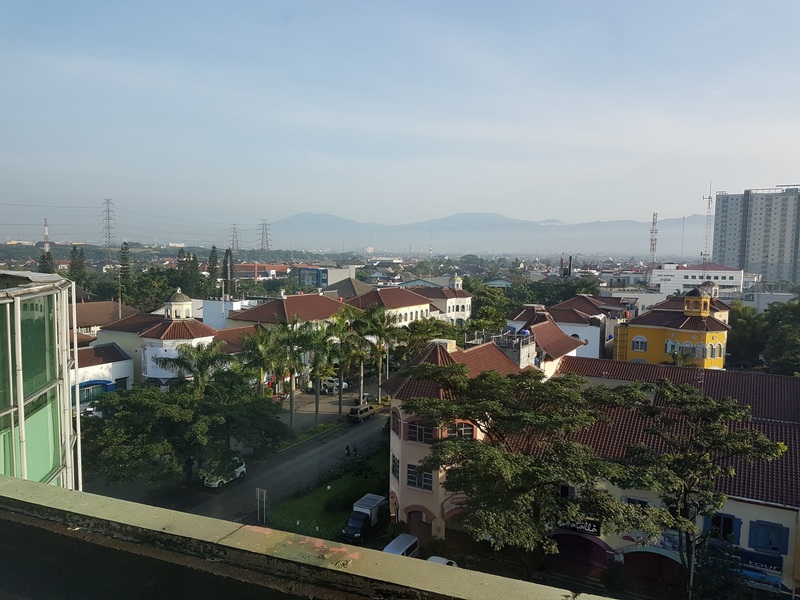 Bandung has become even more build-up than it was when I was last here 20 years ago. (Was it really 20 years?) 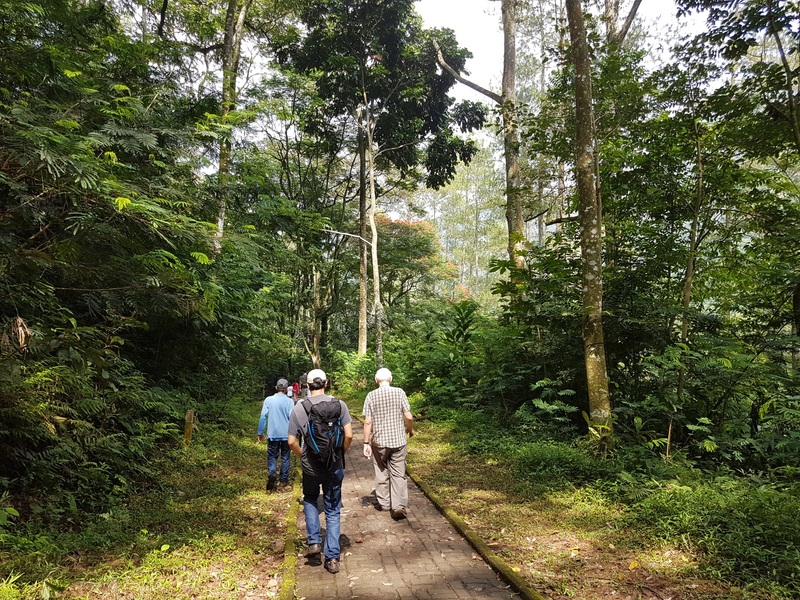 But there is still an area of National Park forest in the hills to the north of the city, that made a good Saturday morning out. 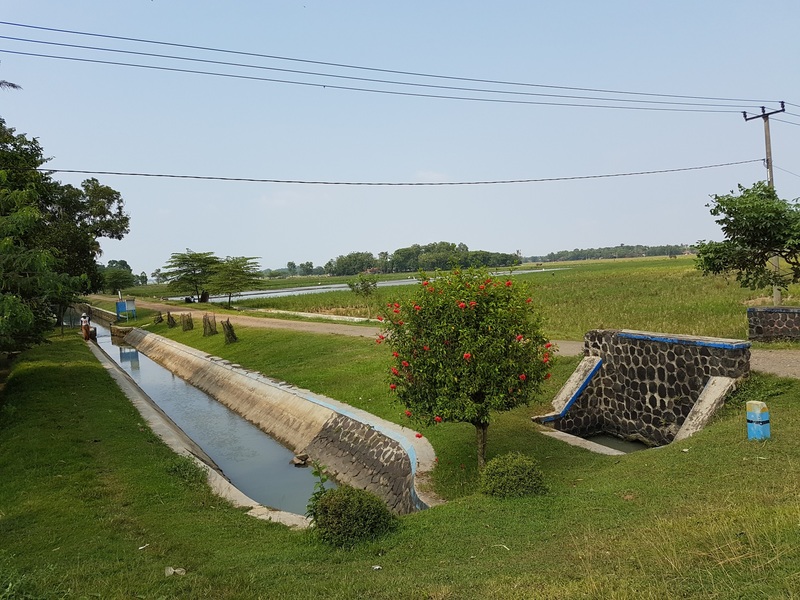 The Jatiluhur irrigation scheme is the largest in Java, and although it is suffering from agricultural land lost to industry and having villages built along its banks, our project area, the East Tarum Canal is still very attractive. The main barrage, built 50 years ago, is still an impressive structure. 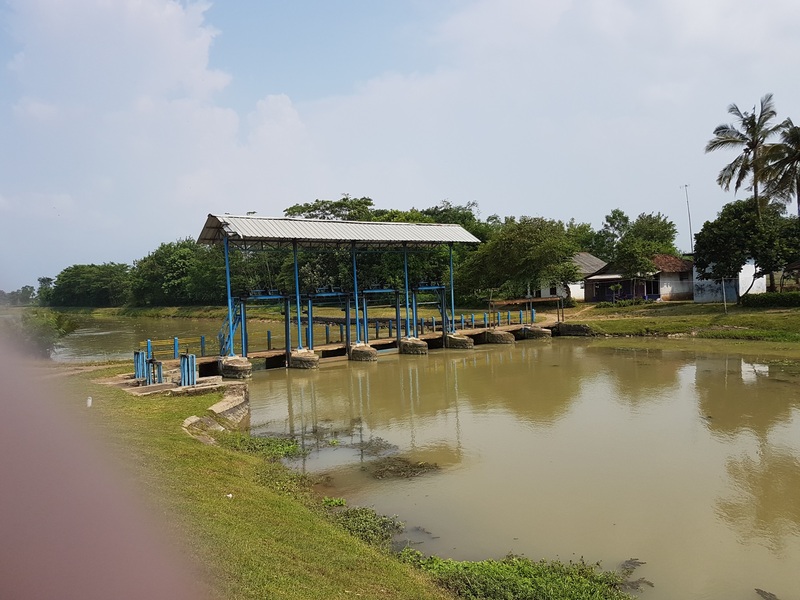 A cross-regulator on the main canal, to maintain levels for the irrigation diversion you can see on the left of the picture…. 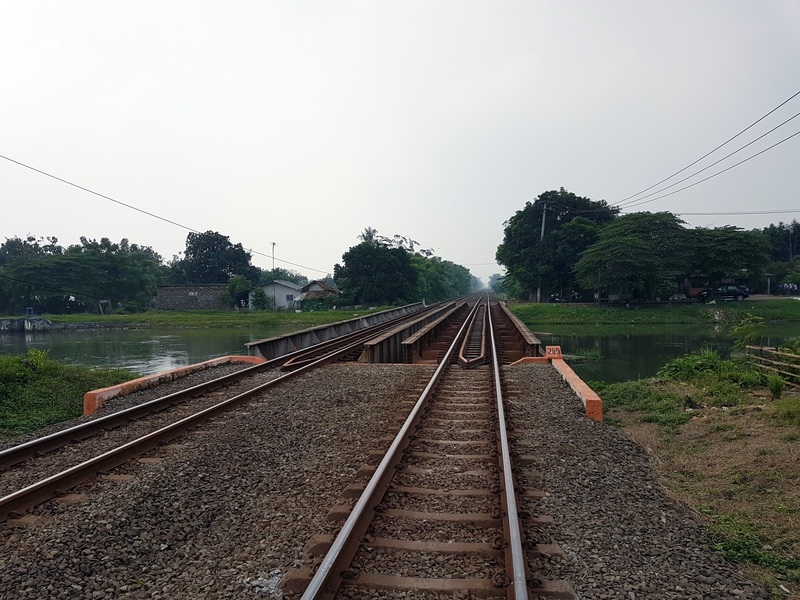 And of course, rice everywhere…..
We did find this railway line, on the main north coast line from Jakarta going east. A train passed soon after I took this, but I wasn’t quick enough with the camera! 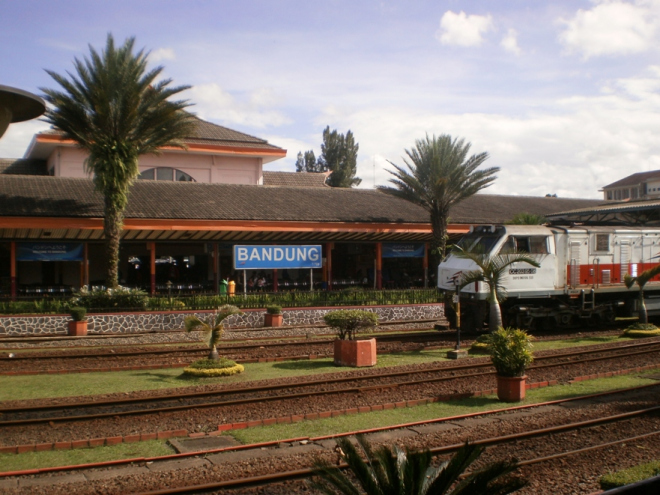 I suppose I ought to visit Bandung station this weekend, but it’s over half-an-hour by taxi – too much like hard work!! So this stock picture will have to do. 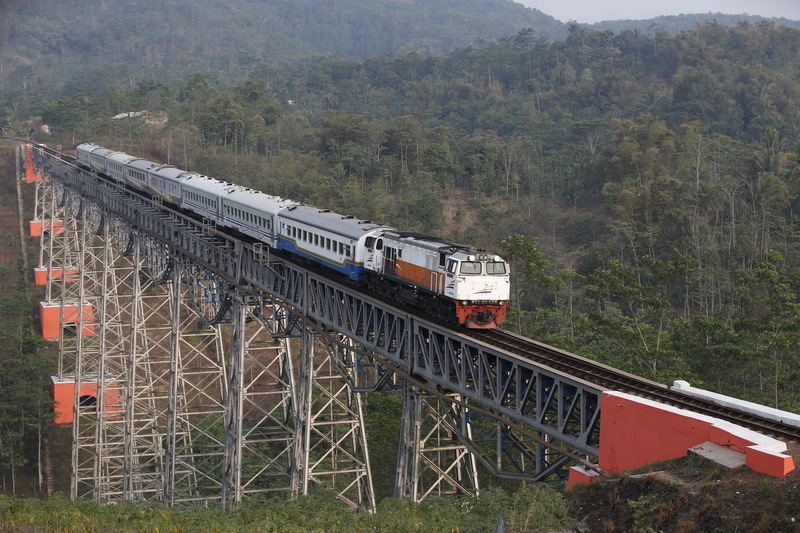 The train journey to Jakarta is interesting through the hills, as the trains still cross a series of fine viaducts built by the Dutch. 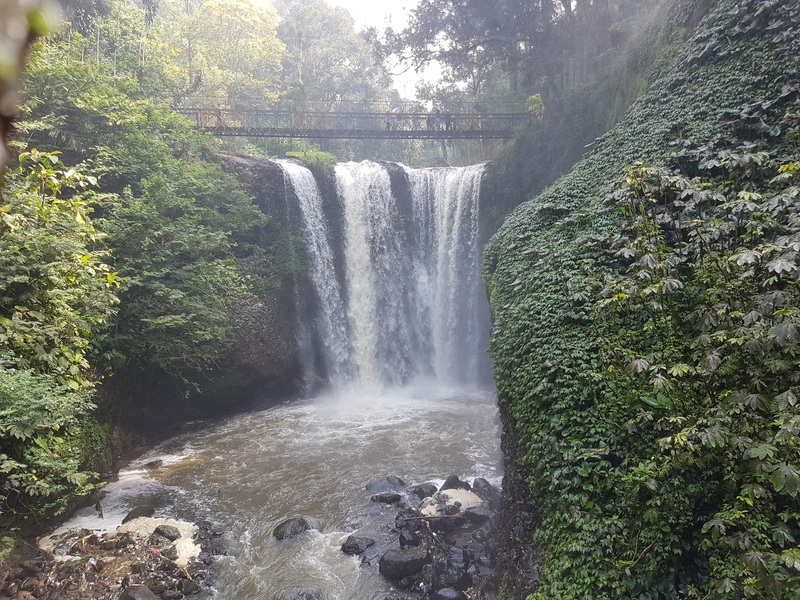 Some of them can be seen from the Bandung-Jakarta motorway (think M25 on a bad day as you near Jakarta). This entry was posted in Out and about, Weird and wonderful and tagged inspiration, railway. Bookmark the permalink.